Home Blogs Who Is The Best Radio Salesperson? After some discussion and debate, we’re always successful in persuading radio sales teams that their satisfied customers can be their best salespeople. Nothing is more credible than a business owner or manager sincerely praising radio’s role in their success. Not rankers, ratings, a salesperson’s claims, research, or any other tool is as powerful as a solid advertiser testimonial or case study. Everything from big-box stores to online shopping is taking a huge bite out of traditional Main Street retail sales. Even more importantly, the Internet has dramatically reduced retail profits with easy online price comparisons. As profits shrink, so do ad budgets. That’s not to say we should abandon our pursuit of retail stores and cash registers. Frankly, most radio account executives are pretty good at speaking retail and capturing shares of dwindling retail budgets. But more than 80 percent of the revenue increases the stations we consult are realizing come from outside the retail sector. The increases are coming from the services and professions sectors: services like roofers or home builders and professions like lawyers or financial consultants. So why have the services and professions sectors become so lucrative for radio account executives who learn to speak their language and think beyond retail? First, the demise of the Yellow Pages has left a huge opening for us. That money has attempted to migrate to a confusing and contorted digital mix of web, social, and SEO (search engine optimization) that no one understands and that is proving to be unproductive. In that mix, building a pre-need, pre-search preference for a business has never been more important. And our local TOMA (Top of Mind Awareness) surveys consistently prove broadcast’s success at building that pre-search branding and driving online traffic for local businesses. Building brand is actually more important in services and professions than it is in retail today. Like it or not, easy price comparisons on the Internet have degraded most retail purchases into a price proposition rather than a branding proposition. But building trust through solid branding is always the tie-breaker in services and professions. It seems no one wants the cheapest eye surgeon, but we all want the lowest price on retail purchases. Not only are the services and professions sectors larger and growing faster than retail (only 13 percent of registered business in the U.S. are retail), they are much more profitable. Part of the reason for that profitability is that consumers cannot make direct apples-to-apples price comparisons A thing called “bedside manner” dictates that no two dentists and no two landscapers deliver exactly the same service. Another profit factor lies in the difference between the variable-expense retail sector versus the fixed-expense services sector. A campaign that doubles a retailer’s sales also doubles their expense, because they have to buy what they sell. In services, once the dentist’s rent, chair, drill, and staff have been paid for each month, their expenses don’t increase with each new patient you attract for them. They don’t have to buy what they sell, they are what they sell. Part of the reason so many businesses have not heard from radio reps is they are not “traditional” advertisers. The irony is that radio can be that “something new” for 69 percent of those businesses if you train your account executives to speak their language. A lawyer, for example, can’t relate to retail terms when we talk about things like building traffic. But when we present how radio can increase billable hours, we have their undivided attention. Radio’s low rates also pleasantly surprise these service-sector businesses. They have not been bombarded by discount radio packages. They also don’t hesitate to invest in annuals; they are accustomed to committing to annuals for everything from rent to phone service. Last but not least, these sectors experience huge success when they come on the air. Our proven TOMA formula is “share of voice = share of mind = share of market.” It can be hard for a furniture store or car dealer to out-shout competitors, but real estate agents and chiropractors can easily capture top-of-mind awareness with your audience. 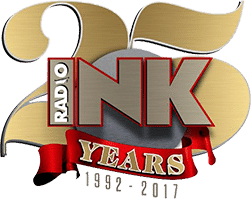 So, let’s think beyond “stores and cash registers” and send powerful testimonial case studies to Radio Ink from al sectors including retail, services, institutions, governments, professions, and politicians. This is absolutely brilliant Wayne. Thanks so much! As a senior AE in Atlanta, I can attest to the changing advertiser marketplace. Wayne is spot on. I now have more service and professionals on air than auto and retail. One of my top advertisers is a real estate agent. Another is an ENT practice. Thanks for the guidance from this article. Successful radio AE’s would be wise to adhere to this wisdom. Great advice, Wayne. We can only hope there are sales managers and salespeople reading and acting on it. This article is so “On-Point”. One of your best! There is so much to be sold out there.